From giant structures to devices too small to be seen, engineers transform the world around them and the lives of the people living in it. Over the past three years, create has highlighted Australia’s most innovative engineers, and the breadth of projects included has been astonishing – from the ocean floor to space, defence to renewable energy, rethinking infrastructure to rethinking disabilities. This year we are looking to do it again. We want to recognise outstanding engineers who have made noteworthy contributions. Engineers can nominate themselves or be nominated by others. 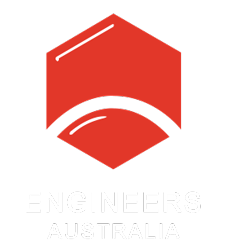 Nominations are open to all engineers working in Australia and Australian engineers working overseas. Any technology, project or product mentioned must have been developed, commenced or completed during the period 2017-2019. Engineers who have been included in any of the previous years’ lists may enter again, as long as it is not for the same project for which they were previously selected. If you are concerned about nominating because of confidentiality issues, you can request that proprietary details of your innovation not be published. Nominations are open now and will close on 28 February 2019. To nominate yourself or someone you know, click here. Catch up on last year’s list here.